Donegal based Motorcycle Racing team, Irwin Racing, left Brands Hatch with some more good results having undergone another new challenge at the Kent circuit on April 14th & 15th. Running two bikes in two different British Superbike Championship support classes for the first time, their riders Caolán and Rhys Irwin came home with a string of strong finishes to leave them both sitting within the top ten of their respective championships. 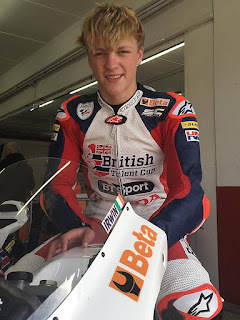 Having kicked off their season two weeks earlier at Donington Park running a Superstock 600 Yamaha for Caolán, the team added a second machine for Brands Hatch with the debut appearance of Rhys, in the Moto3 Standard class. The Motorcycling Ireland, Oasis Bar and Clean Rubber backed riders both continued to learn their new machines as they adapted to life in the highly competitive British Superbike Championship paddock. Caolán Irwin headed into his second weekend on the Oasis Bar Yamaha with the aim of improving on his tenth place at round one and began steadily, building his speed across the practice and qualifying sessions. Having improved his lap times each time he went out, Caolán lined up eleventh following qualifying and felt there was more to come in the race. Starting steadily the twenty year old became embroiled in a battle for ninth place but a false neutral on lap six saw him run wide and drop four places. A string of fast laps, including his fastest of the weekend, saw him rejoin the battle he had been in, and by the flag he had worked his way back to ninth place, to go one better than his opening round performance. Caolán's second top ten result has moved him to eight in the championship standings, just a handful of points of the top five and well ahead of his expectations for this stage of his debut Superstock season. 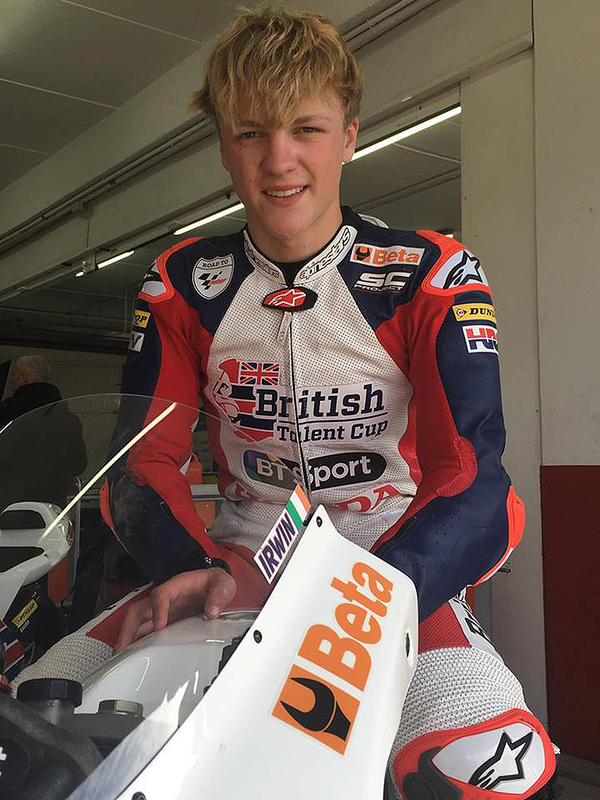 Brands Hatch saw Caolán's younger brother Rhys join the team to make his Moto3 standard class debut on the Motorcycling Ireland Honda. Having not run the Moto3 machine recently due to his British Talent Cup commitments, Brands Hatch was a first chance for the fifteen year old to test his bike in a competitive environment. Starting the weekend over two and a half seconds off the fastest in his class, he had reduced the gap to just over a second by the end of qualifying to line up in eighth. A change in set up for race one took Rhys's lap times in the wrong direction, and made it difficult for him to progress through the field, as he came home in the position he started. Reverting to his previous settings saw an improvement in lap times as he got within a second of the leaders fastest lap, a strong result as the team had identified a performance sapping issue with their fuel system, which could not be correct at the track. A second successive eighth place finish left Rhys reasonably satisfied and happy to match his older brothers achievement as he also sits eighth in the standings after two races. Irwin Racing return to action at the next round of the British Superbike Championship at Oulton Park in Cheshire in early May. For more information on Rhys Irwin see www.irwinracing.ie.